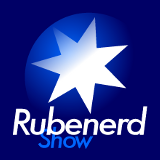 15:00 – Very random Rubenerd show! Talking about and spilling Farmer's Union Iced Coffee, chipmunks wanting body massages, walking into poles and the different ways Singaporeans and Aussies pronounce car names. WARNING: Contains information about Farmer's Union Iced Coffee.